"Greg Francis Poldiska, January 12, 1956 - July 9, 2019. Friends and family are invited to attend Greg's funeral service on July 14, 2019, at 11:00 a.m. at the Trinity Funeral Home, 5489 North Third Street, Banning, CA 92220. Lunch will be served in the adjacent social room immediately following the service." "The family of Belinda Rae Monroe (born August 8, 1969) sadly announces her death on December 5, 2019. The family encourages donations to Belinda's favorite charity - the ASPCA - in lieu of flowers." "Though we will miss him greatly, we rejoice in Ethan Nicholas Smith's (February 12, 1976 - September 1, 2019) triumphant return to his Heavenly Father. Join us on September 12, 2019, at 5:00 p.m. as we celebrate Ethan's life and the blessed promise of eternal life through Christ. Saint Paul's Methodist Church, 101 North Lincoln Street, Lincoln, NE 68501." A template guides you through writing a funeral announcement. The template offered here is editable and printable, simplifying the process of creating an announcement. If you need help with the template, check out the Guide to Adobe Printables. This template offers space for a photo if you want to include one. When you find a sample that strikes you as appropriate for your deceased loved one, you can customize it. Most of these announcements have basic information such as your loved one's name, date of death, place and time of the memorial or funeral. Some announcements should include a poem or quote to make it much more personal. 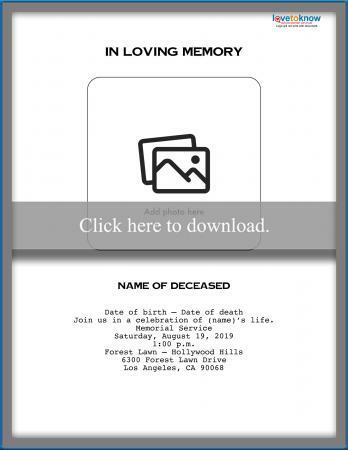 Once you customize your funeral announcement sample, it is ready for printing. You can do this at home if you have a high-quality printer or you can take it to a photography or printing shop. The type of paper you use is important so consider this when getting ready to print. During this highly emotional time, you may want to leave the manufacturing and printing of the funeral announcements to someone else. You can order funeral announcements online and give the e-tailer the information you would like on the announcement. All that is left to do is wait for them to arrive and then send them out to family and friends. Alternatively, some print shops will send the announcements for you for an extra charge. 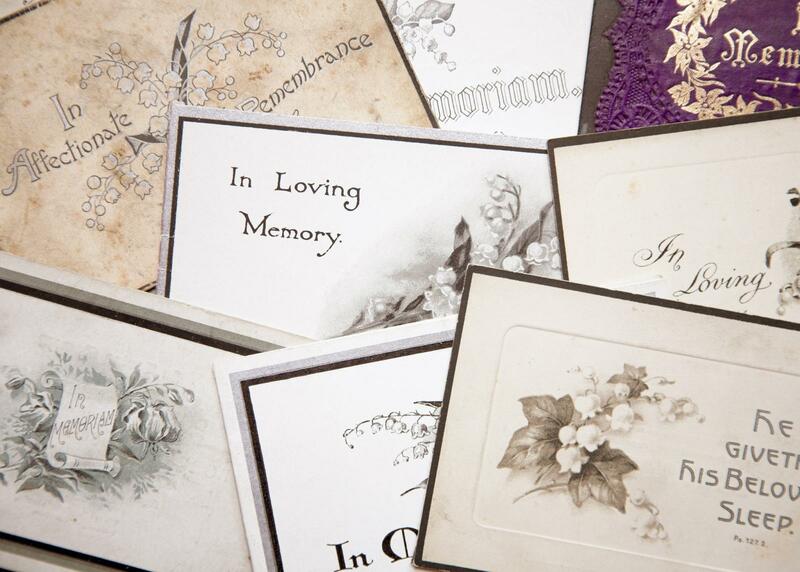 Funeral announcements are not only to spread the unfortunate news of someone's death, but it's also a keepsake. Many funeral announcements are beautiful in its words as well as its design. This is the last memento you will have of your dear friend or family member making it of great importance. Even if it's just the black and white funeral announcement in the local newspaper, its recap of the person's life is special. Therefore, take great care in your choice or creation of a funeral announcement.